ACS Nano 2019, 13, 1479-1489. J. Innov. Opt. Heal. Sci. 2019, 12, 1950001. J. Mater. Chem. C, 2018,6, 10861-10869. 42. 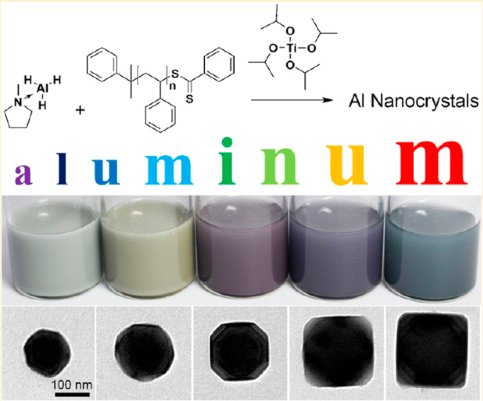 "Polymer Directed Growth of Plasmonic Aluminum Nanocrystals"
J. Am. Chem. Soc. 2018, 140, 15412–15418. 41. "Synthesis and Assembly of Colloidal Cuboids with Tunable Shape Biaxiality"
Nat. Commun. 2018, 9, 4513.
and High Photothermal Conversion Efficiency"
Chang, Y.-X. ; Gao, H.-M.; Zhang, N.-N.; Tao, X.-F.; Sun, T.-M.; Zhang, J.-H.; Lu, Z.-Y. ; Liu, K.* and Yang, B. Front. Chem. 2018, 6, 335. 39. "Ligand Exchange of Gold Nanoparticles with Thiol-terminated Polystyrene"
Chem. J. Chinese Universities, 2018, 39(3), 552-557.
in Water with Long Photoluminescence Lifetime"
Yang, S.; Zhang, F.; Tai, J.; Li, Y.; Yang Y., Wang, H.; Zhang, J.; Xie, Z.; Xu, B.; Zhong, H.*; Liu, K.*; Yang, B. 37. "Phase behaviors of Bent Analogs of Bent-Core Liquid Crystals." 36. 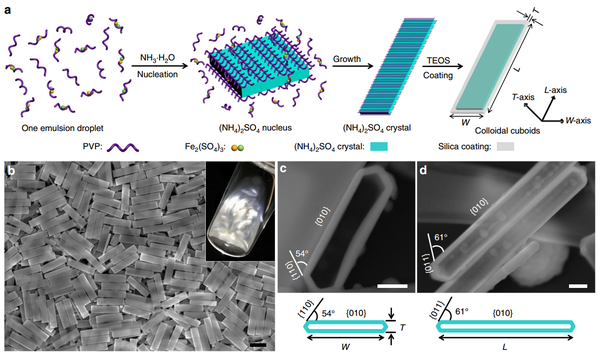 "Nanocrystal Superlattices: No need to wait." 34. "Supracolloidal Self-Assembly of Micro-Hosts and -Guests on Substrates." Journal of Inorganic and Organometallic Polymers and Materials, 2017, 27, 110-118. Facilitated by Cetyltrimethylammonium Bromide Micelles"
ACS Nano 2017, 11, 3463-3475. 32. "Imparting Catalytic Activity to a Covalent Organic Framework Material by Nanoparticle Encapsulation"
ACS Appl. Mater. Interfaces 2017, 9, 7481-7488. 31. "Synthesis and Liquid-Crystal Behavior of Bent Colloidal Silica Rods." J. Am. Chem. Soc. 2016, 138, 68–71. Performance of Polymer Photovoltaic Devices." Liu, C.; Zhao, C.; Zhang, X.; Guo, W.*; Liu, K.*; Ruan, S.
J. Phys. Chem. C 2016, 120, 6198–6205. Wang, T.; Chen, H.; Liu, K.; Wang, S.; Xue, P.; Yu, Y.; Ge, P.; Zhang, J. *, Yang, B.
ACS Appl. Mater. Interfaces 2015, 7, 376−382. Chen, H.; Wang, T.; Shen, H.; Liu, W.; Wang, S.; Liu, K.; Zhang, J. *; Yang, B.
Nano Research 2015, 8, 2871–2880. Lin, M.;Guo, C.;Li, J.;Zhou, D.; Liu, K.; Zhang, X.; Xu, T.; Zhang, H.*, Wang, L.;*Yang, B.
ACS Appl. Mater. Interfaces 2014, 6, 5860−5868. Gudjonson, H.; Kats, M.; Liu, K.; Nie, Z.; Kumacheva, E.; Capasso, F.
Proceedings of the National Academy of Sciences 2014, 111, E639–E644. 25. 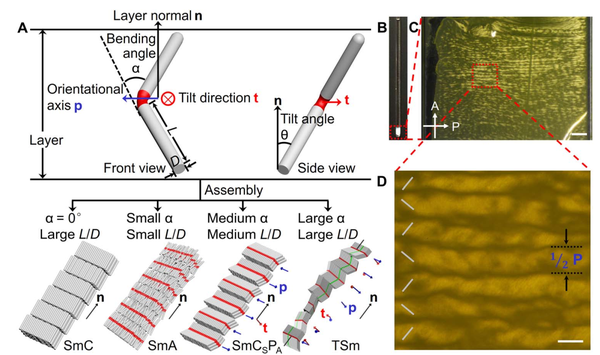 "Anisotropic Janus Si Nanopillar Arrays as a Microfluidic One-Way Valve for Gas–liquid Separation"
Wang, T.; Chen, H.; Liu, K.; Li, Y.; Xue, P.; Yu, Y.; Wang, S.; Zhang, J.; Kumacheva, E.; Yang, B. 24. "Copolymerization of Metal Nanoparticles: A Route to Colloidal Plasmonic Copolymers"
Angewandte Chemie International Edition2014, 53, 2648–2653. 23. 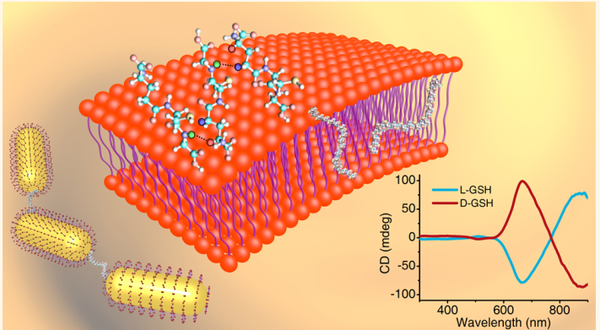 "In Situ Plasmonic Counter for Polymerization of Chains of Gold Nanorods in Solution"
ACS Nano 2013, 7, 5901–5910. 22. "Jointly Tuned Plasmonic-Excitonic Photovoltaics Using Nanoshells"
Liu, K.; Kumacheva, E.; Sargent, T.
Nano Lett. 2013, 13, 1502–1508. 21. "Synthesis, Photophysics and Pyrolytic Ceramization of a platinum(II)-Containing Poly(germylacetylene) Polymer"
Journal of Organometallic Chemistry 2013, 744, 165–171. 20. 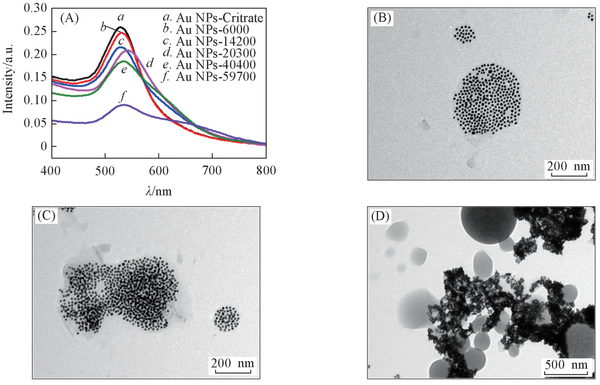 "Step-Growth Polymerization of Inorganic Nanoparticles"
Liu, K.; Nie, Z. H.; Zhao, N. N.; Li, W.; Rubinstein, M.; Kumacheva, E.
19. "Salt-mediated kinetics of the self-assembly of gold nanorods end-tethered with polymer ligands"
Liu, K.; Resetcoa, C.; Kumacheva E.
18. 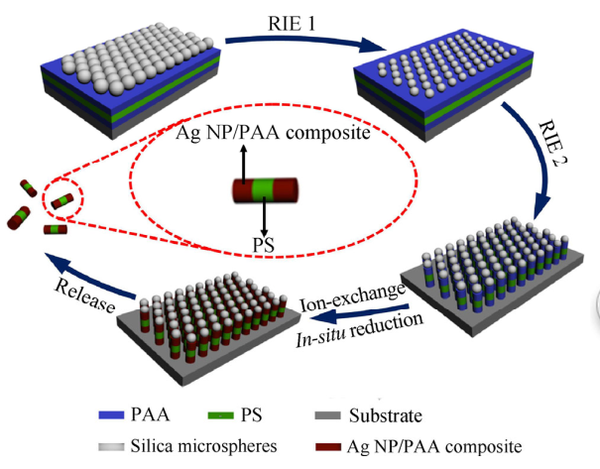 "Self-Assembly of Inorganic Nanorods"
Liu, K.;# Zhao, N. N.,# Kumacheva, E.
Chem. Soc. Rev. 2011, 40, 656–671. 17. "Close-Packed Superlattices of Side-by-Side Assembled Au-CdSe Nanorods"
Zhao, N. N.;# Liu, K.;# Greener, J.; Nie, Z. H.; Kumacheva, E.
Nano Lett. 2009, 9, 3077–3081. Liu, K.; Fournier Bidoz, S.; Ozin, G. A.; Manners, I.
Chem. Mater. 2009, 21, 1781–1783. 15. "Synthesis and Lithographic Patterning of FePt Nanoparticles Using a Bimetallic Metallopolyyne Precursor"
Angew. Chem. Int. Ed. 2008, 47, 1255–1259. Co-Fe Alloy Nanoparticles Derived from a Polyferrocenylsilane with Pendant Cobalt Clusters"
Grozea, D.; Lu, Z. H.
Chem. Mater. 2006, 18, 2591–2601. 13. 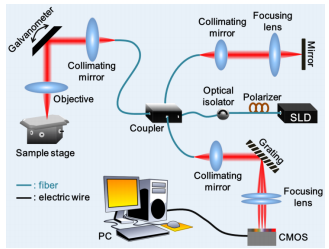 "Controlling the Degree of Polymerization, Bond Lengths and Bond Angles of Plasmonic Polymers"
Lukach, A.; Liu, K.; Thérien-Aubin, H.; Kumacheva, E.
J. Am. Chem. Soc. 2012, 134, 18853–18859. Dong, Q.; Li, G.; Ho, C. L.; Faisal, M.; Leung, C. W.; Pong, P. W.; Liu, K.; Tang, B. Z.; Manners, I.; Wong, W. Y.
Adv. Mater. 2012, 24, 1034–1040. 11. "Standing Arrays of Gold Nanorods End-Tethered with Polymer Ligands"
Petukhova, A.; Greener, J.; Liu, K.; Nicolaÿ, R.; Matyjaszewski, K.; Kumacheva. E.
10. "Microfluidic study of fast gas-liquid reactions"
Li, W.; Liu, K.; Simms, R.; Greener, J.; Pinto, S.; Günther A.; Kumacheva. E.
J. Am. Chem. Soc. 2012, 134, 3127–3132. 9. 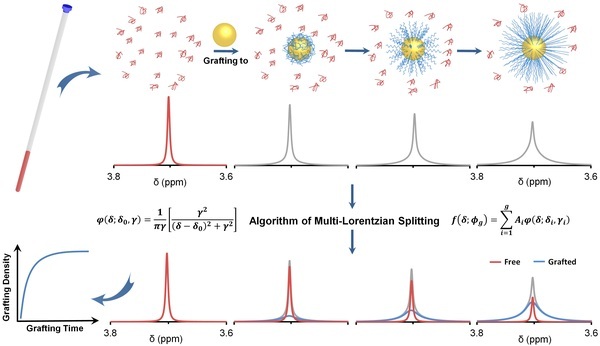 "Probing Dynamic Generation of Hot-Spots in Self-Assembled Chains of Gold Nanorods by SERS"
J. Am. Chem. Soc. 2011, 133, 7563–7570. Wang, H.; Patil, A. J.; Liu, K.; Petrov, S.; Mann, S.; Winnik, M. A.; Manners, I.
Adv. Mater. 2009, 21, 1805–1808. Rider, D. A.; Liu, K.; Eloi, J.-C.; Vanderark, L.; Yang, L.;Wang, J.; Grozea, D.; Lu, Z.-H.; Russell, T. P.; Manners, I.
ACS Nano 2008, 2, 263–270. 6. "Donor-Acceptor C60-Containing Polyferrocenylsilanes: Synthesis, Characterization and Applications in Photodiode Devices"
Nanjo, M.; Cyr, P. W.; Liu, K.; Sargent, E. H.; Manners, I.
Adv. Func. Mater. 2008, 18, 470–477. J. Am. Chem. Soc. 2007, 129, 5630–5639. Containing Nickel and Nickel Silicide Nanoparticles"
Friebe, L.; Liu, K.; Obermeier, B.; Petrov, S.; Dube, P.; Greedan, J. E.; Manners I.
Chem. Mater. 2007, 19, 2630–2640. 3. "Synthesis and Lithographic Patterning of Polycarbosilanes with Pendant Cobalt Carbonyl Clusters"
Zhang, H.; Zhou, Z.; Liu, K.; Wang, R. B.; Yang, B.
J. Mater. Chem. 2003, 13, 1356–1361. 1. 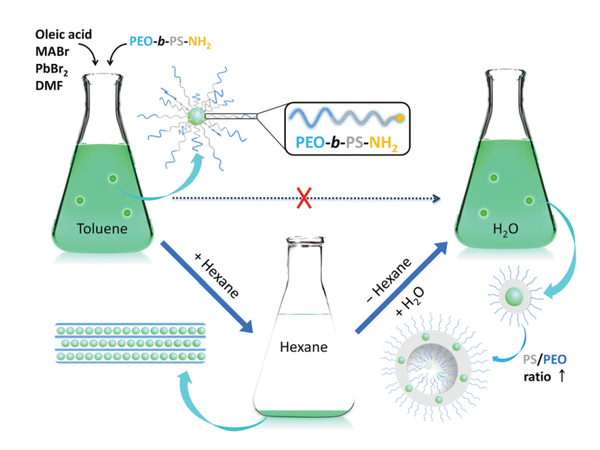 "Thin Films of Ag Nanoparticles Prepared from the Reduction of Polyelectrolyte/AgI Nanoparticles Self-Assembled Films"
Zhang, J. H; Li, X. L.; Liu, K.; Cui, Z. C.; Zhang, G.; Zhao, B.; Yang, B.
J. Colloid and Interface Sci. 2002, 255, 115–118.